Comedian Jerry Seinfeld has been slapped with a lawsuit for selling what appears to be a fake Porsche for $1.5 million. Jerry Seinfeld is bringing the next two seasons of Comedians in Cars to Netflix, plus two comedy specials and more for the streaming service. The guest line-up for Jerry Seinfeld's Comedians in Cars Getting Coffee has been unveiled in the Season 9 trailer. Jerry Seinfeld takes a drive with John Oliver, Judd Apatow, Lorne Michaels and more in the Season 8 trailer of Comedians in Cars Getting Coffee. Jerry Seinfeld returns for all-new episodes of Comedians in Cars Getting Coffee starting June 19th on Crackle, with guests Jon Stewart and Sarah Jessica Parker. 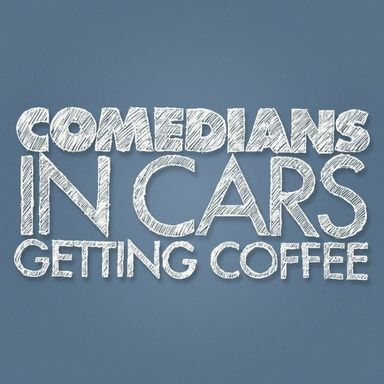 Jerry Seinfeld is joined by George Wallace, Robert Klein and Jon Stewart for all-new episodes of Comedians in Cars Getting Coffee, airing this summer on Crackle. This new deal will extend the Crackle web series to Season 9. Seasons 4 and 5 will debut this summer and fall. The actors met at Manhattan eatery Tom's Restaurant as their Seinfeld characters for the first time in 16 years. Jerry Seinfeld invites a whole new group of fellow comedians out for a cup of joe beginning Jan. 2, 2014. Official lineup to be announced next week. Jerry Seinfeld takes David Letterman, Chris Rock, Sarah Silveraman and more for a ride in these all-new episodes of his hit Crackle series. 24 all-new episodes of this hit Crackle webseries are set to debut this summer, with guests to be announced soon. This experimental web series will return with 24 new episodes for Sony Pictures Television starting this spring. Jerry Seinfeld stars in this new Crackle.com web series where he drives around with other comedians, debuting July 19.